Yesterday was the 5th annual Walkerville Holiday Walkabout. 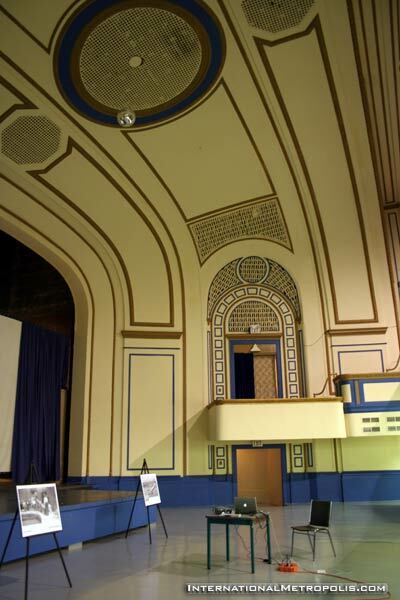 One on Wyandotte Street’s grandest buildings was even open. The Walkerville Theatre designed by renown theatre Architect C. Howard Crane in 1918, and built in 1920, had it’s doors open to the public for the first time in a while. The photo above comes from the May 1921 issue of The Michigan Architect and Engineer. 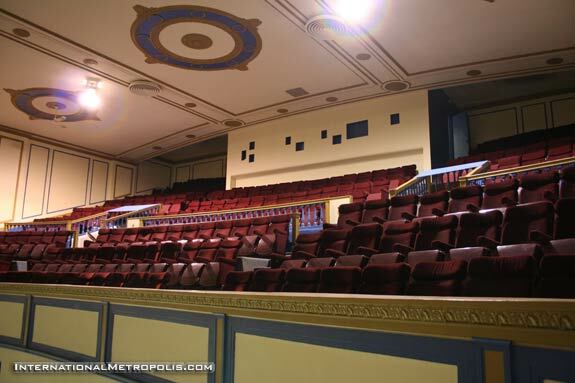 Looking to the right of the stage and the second floor boxes, the interior of the auditorium is in amazing condition. The stage has been expanded, and the last time I was in the building a few years ago was to see a local theatre production of the Odd Couple. To be honest I only attended because I wanted to see the inside, and to check out C. Howard Crane’s fabled acoustics… The sound traveled very well. Crane was well know for producing near acoustically perfect auditoriums. It was a treat to see live theatre inside a classic theatre. Looking back toward the balcony from the stage area. The second floor mezzanine behind the balcony. 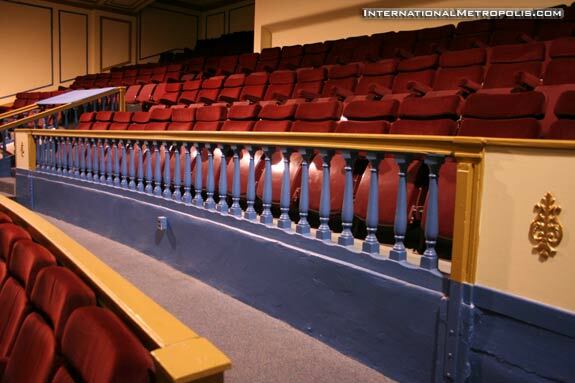 In the balcony, many of the original architectural design elements remain. A general view of the balcony. 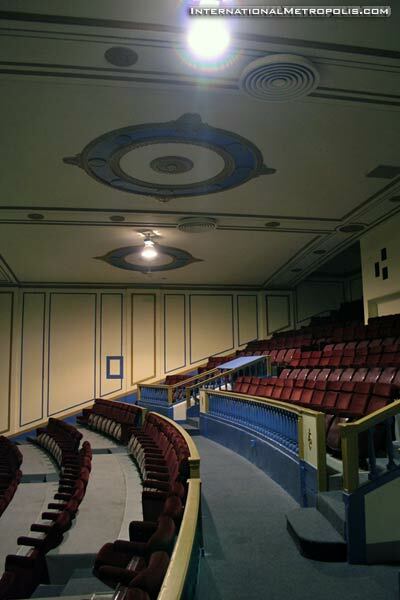 A fish-eyed panorama of the auditorium from the balcony. 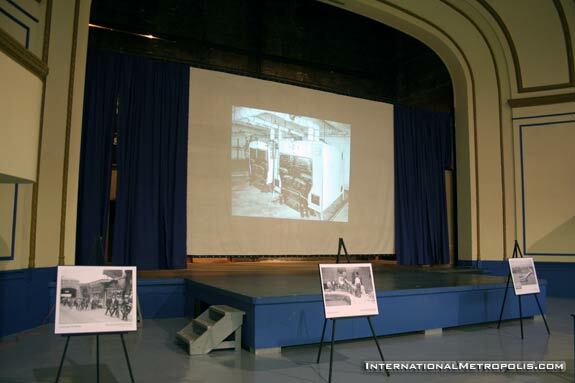 A view of the auditorium from the projection booth. This shot was taken out of one of the projector slots. Looking back towards the balcony from one of the side boxes. 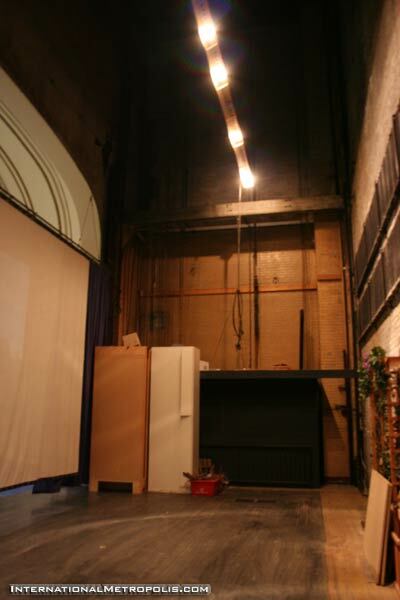 A view of the backstage area. The dressing rooms were located in the basement. The door frames have retained their original elements. 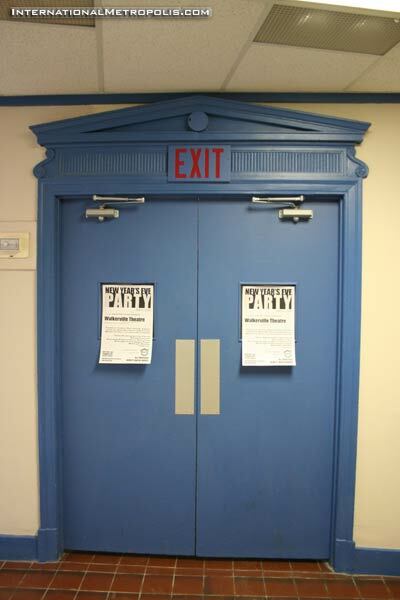 As you can see by the posters on the door, the building will be open for a new year’s eve party. 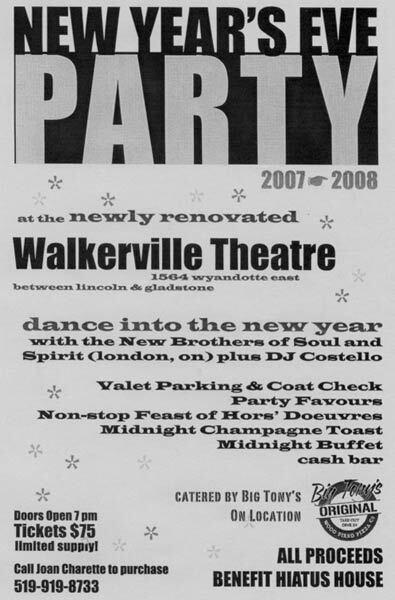 Here are the details of the benefit party, if anyone is interested in attending New Year’s at the Walkerville Theatre. 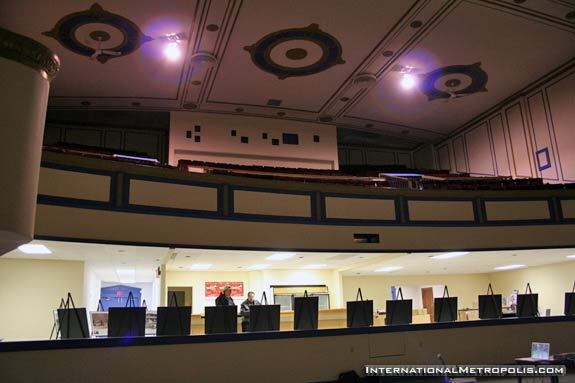 For the right buyer though, the theatre could be quite a bargain… Hopefully it returns to public service soon, it would be great to see some events happening down here. 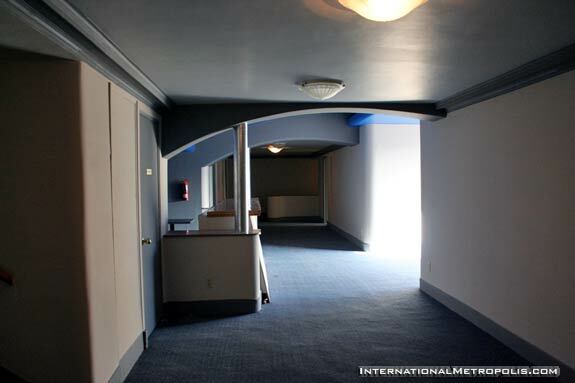 With the recent loss of the Capitol, there is certainly a niche to fill in the city with regards to performance space. Thanks for the recent pictues Andrew. It is unfortunate that The Capitol will still be closed for a few more years due to City Hall wrangling (don’t they want to open it as soon as possible or do they just want more property and land?). 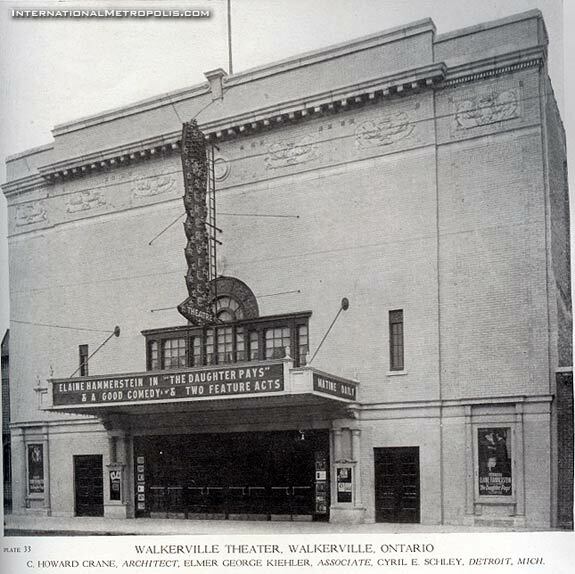 But if and when the Capitol comes back The Walkerville will just be another theater in a city that doesn’t support the arts very well. The only way this building may ever stand a chance to survive is to make the interior smaller shops or business “booths” for people to sell their goods. Other than that it actually harms that block of retail as nothing else can sustain it and it alienates that retail from the rest of Walkerville. I am sure where there is a will there is a way. Too bad someone botched up the circular window. I can’t ever remember it being original. Secondly, I disagree, conversion to retail is not this answer for this structure. I think the best use for it is as a multi-use community type building. Awesome shots. If that theatre had regular events, it would revolutionize Walkerville. Nice ! Understated, streamlined – I bet the acoustics are sharp as hell in there. Good work. Got a tour of when a friend who was one of the people behind the LIFE nightclub that opened in 2000/2001 — such a neat building, such a wonder it wasn’t bulldozed over the years. They had found an old rolled up vaudevillian scenery backdrop backstage during renovations. They did an alright job with Life but couldn’t make it work — perhaps a little too far outside of downtown for such a big club (though in the past roadhouses like california’s and canada tavern worked) and the American crowds that should have came, didn’t (post 9/11 border victims likely). Walkerville is the neighbourhood in Windsor with the most potential to have a real mixed-used historically intact neighbourhood (it largely already is) with Wyandotte and Ottawa Streets as it’s “High Streets”. It’s the Annex (Toronto) or NDG (MTL) of Windsor. Thank you Andrew for posting such wonderful shots. Anyone interested in a personal tour, please do not hestitate to call me at 519-919-8733. There are a number of people/theatre groups/musicians etc. that have contacted me already with regards to leasing this beautiful facility on a per event basis – and the owner is very receptive. Hopefully I will be posting a list of events that will be coming soon – wouldn’t that be wonderful? Andrew, love the enthusiasm generated by this past weekend’s open house there. Joan was receptive and kind to all, including curiosity seekers like myself who weren’t quite in a position to buy but really wanted to get a look around. My first impression was how all the owners since 1963 have managed NOT to totally butcher up the interior. It’s essentially intact and ready for future generations to enjoy. Sure, the seats on the main level are gone, but its current configuration lends itself even better to a possible multi-use facility. Those looking for traditional seating have the whole balcony to use, while the main floor would be perfect for table seating. Imagine hosting plays, bands, films, and being able to serve food and drinks to guests at tables on the main floor. And I’m trusting that since it is considerably smaller than the Capitol that its operating costs and property taxes would be more manageable for an owner that may or may not be able to fill 2,000 seats all the time. John, I too am simply amazed that the building has survived as it has all these years…. Joan, please keep us informed of any upcoming events…. I saw SLOAN play at this place back when I was in highschool, I think maybe around 1995-1997. Great conert venue, the place was packed.. very awesome. Only time I ever knew of a concert happening in the place. I still remember sneaking up to the balcany.. I believe the set ended when everyone got up onstage (myself included) and a speaker wire got kicked out. Since then, I heard rumours that the roof had collapsed? Any truth to that? Great shots. It is in far better condition than I expected. Mike, The roof had a leak but it was repaired very quickly. I have not heard of the roof collapsing. Damn, I missed it. Did they take care of the pigeon/pigeon dropping problem above the front entrance yet? Mike, I was at that show too. It was an awesome place to see that kind of show. 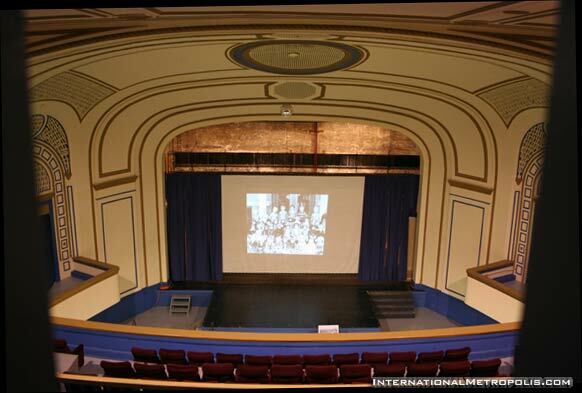 How about it being used as a venue (easily accessible) for the Windsor International Film Festival? It was a bummer to have drive out to Lakeshore to attend a movie. The location is fantastic and the interior gives you feeling you are of attending something special. You could even roll out a red carpet. We need some glamour in this city!! Ya!! 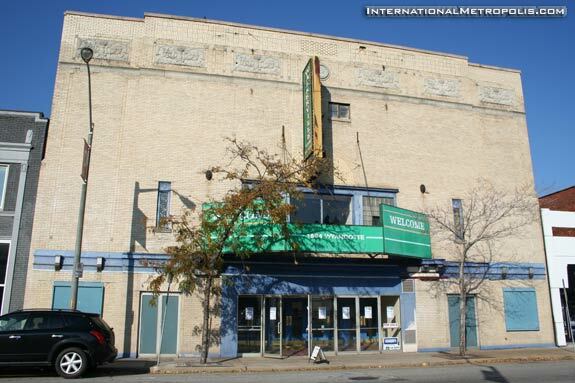 Was this theatre even considered?? The Film festival would seem to be an awsome fit!! Wow. The theatre appears to be in amazing shape. I had no idea. There HAS to be an entrepreneur SOMEWHERE! How about a joint ownership beteween the two school boards for a theatre program? The possibilities are endless! We all need to rack our brains. Thanks for being the catalyst to keep people thinking Andrew. That flyer is for 2007-2008 New Years’ celebration, can you check and see if it’s still relevant? That is an amazing theatre. Last time I was there, the air conditioner had just blown up down in one of the mechanical rooms, so it was hot as heck. It’s full of interesting passageways, and the detail in the plaster work is pretty good. Would be a shame to let a place like this goto waste. No Josh, that was last year. This was posted in November 2007. Saw a bunch of stuff in the window there tonight – apparently this is now some Church Of Destiny or something. At least it’s being used for something, to bad it’s not for the arts (or WIFF!). This building will make a GREAT church. I already saw things that’ll be great for that building if a church was to house that building. I have some great ideas for that building, I would love to tour the inside to see if any of my ideas would work without remodelling too much. If there was enough community support I am sure something we could work something out.